There is a place in Manchester, New Hampshire called the Bridge Street Cafe. They are gluten free and dairy free friendly, and it’s one of the few places that I can get a great late breakfast or lunch after yoga class, or my new favorite, this awesome smoothie they have called the Green Monster. The only qualm I have about is that it’s a little too sweet (I think there’s just a little too much almond butter in there for my taste). I wanted to be able to recreate this awesome beverage at home because if I’m not over at yoga class, it’s kind of a trek to get over there for anything. When I blended this up, I cut back on the almond butter (I used only one tablespoon, and I also used walnut butter instead) and added more kale. 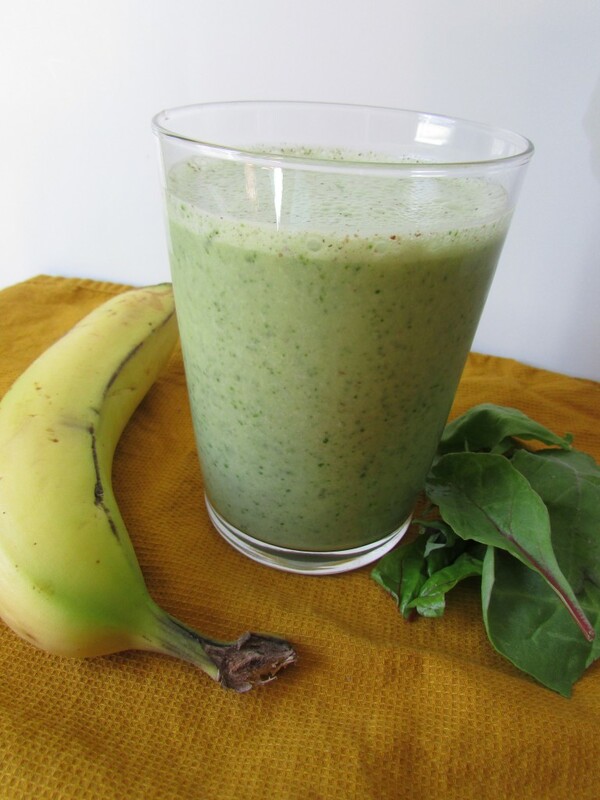 This makes for a great smoothie anytime, and is packed with lots of greens and fiber (in case you have a hard time getting it in with your meals during the day)!